Customized blue pen holder with picture frame – is a token, which can enchant anyone with its simplicity, yet distinguished form. This blue pen holder measures 4 ½ “x 3 ½” and possesses imprint area of 1” x 1”. 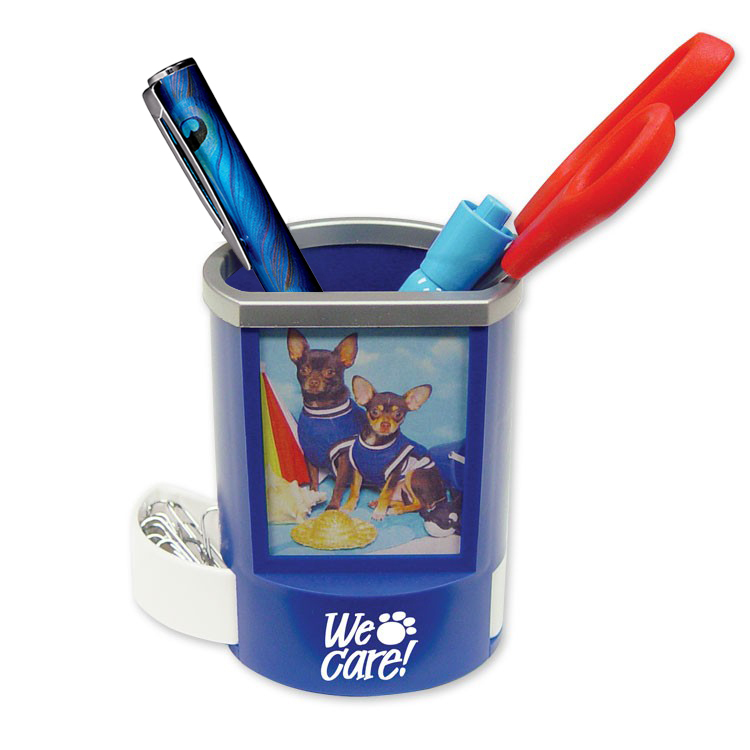 Advertisers who are targeting kids, students, office goers – can easily prance upon a personalized blue pen holder with picture frame because it serves them above expectations. Promotional blue pen holder with picture frame can be handed over during tradeshows, business conferences, road shows, and other promotional campaigns, as well as other social and close family events. Whoever receives this unique gift will retain it for long time due to its utility value and its attractive appearance. Product Size : 4 1/2" X 3 1/2"